Robert McGinley, the producer and director of the cult film classic, SHREDDER ORPHEUS*, follows up with a music driven cyberpunk thriller, DANGER DIVA in this DVD/Soundtrack LP combination pack. Molly Sides (lead singer of Seattle’s legendary band, THUNDERPUSSY) plays a hard rocking singer coerced into becoming an electronically enhanced new-music diva by her high tech billionaire patron (Tim Gouran). Set in the near future, her singing voice is used to control and energize the brains of employees that are being used as external processors for the corporation’s clients. Referred to as Brain Cattle, the workers operate in a digital sweatshop processing binary algorithms, functioning musically as a chorus for the diva. DANGER DIVA explores the conflict between high tech vs. high touch, and what it means to be human in a digitally enhanced future. 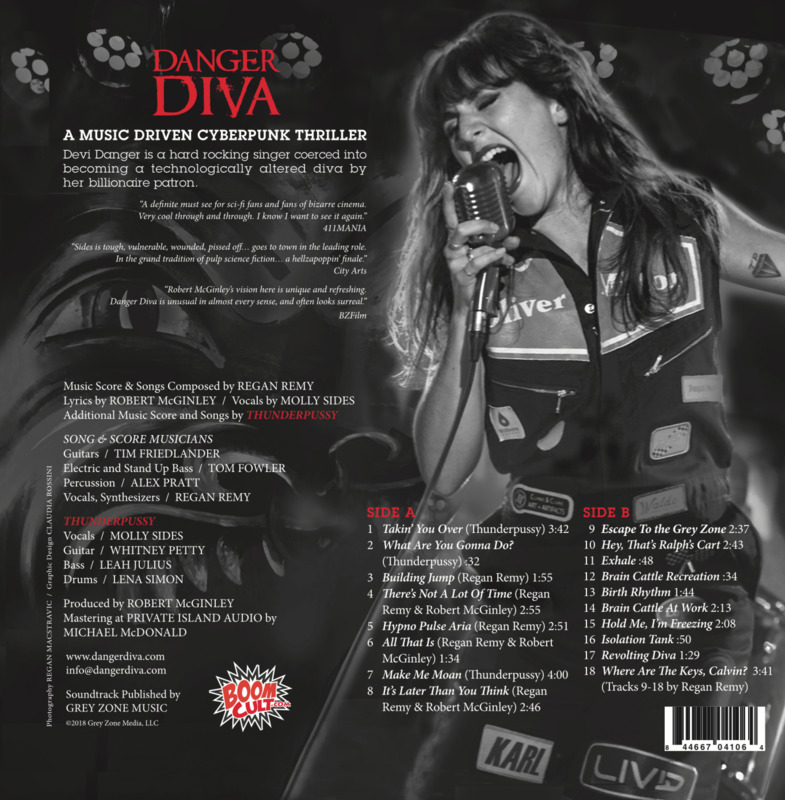 The DANGER DIVA sound track LP features a scintillating score and songs by Regan Remy with searing vocals by Molly Sides. 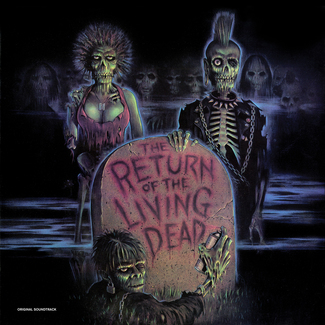 Additional songs by THUNDERPUSSY provide a hard rocking edge and are only available on this soundtrack LP. “DANGER DIVA (2018) is a dazzling, mind-reeling “lo-fi sci-fi” musical cyberpunk thriller from writer-director Robert McGinley. 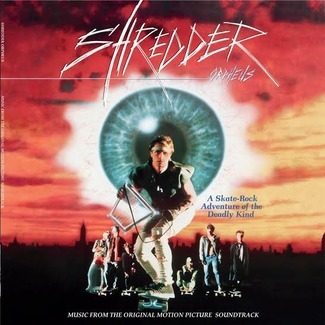 It’s (his third) feature since SHREDDER ORPHEUS (1990), a scrappy skate-punk cult favorite that acts as a bridge between VIDEODROME (1983) and THE MATRIX (1999). 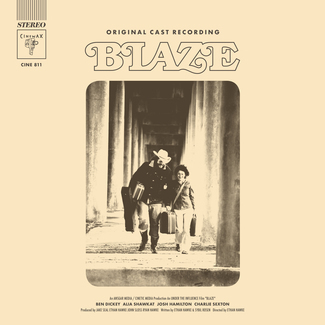 *SHREDDER ORPHEUS DVD/Soundtrack LP also available in the LITA catalog. Where Are The Keys, Calvin? 18 Where Are The Keys, Calvin?